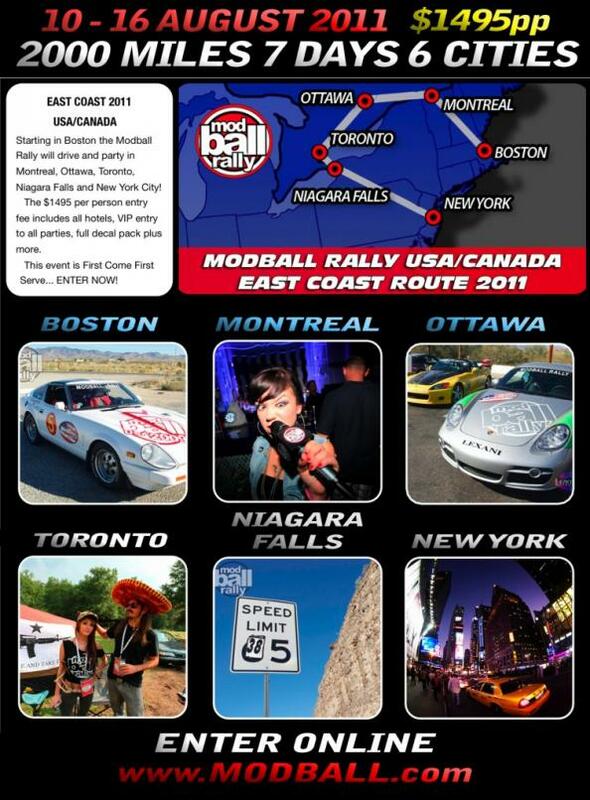 Only 2 months to go until the 2011 East Coast Modball Rally! $1495 per person, minimum 2 people per car and no maximum $495 deposit secures your place at the starting grid, with the remaining balance payable on 1st July 2011. Enter 2 cars and receive a $1000 discount per car! Any questions/queries drop us an email to [email protected].